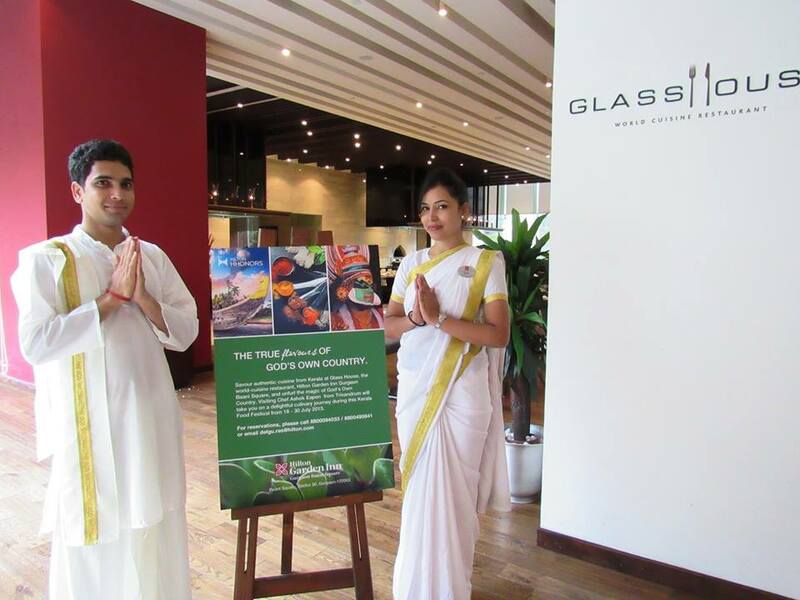 Replete with ornate curios of south India, those adorn the restaurant and the aroma of fresh hot Kal Dosas impresses when one first enters GlassHouse (the world cuisine restaurant) at the Hilton Garden Inn which has turned into God’s own country till the 30th of July. 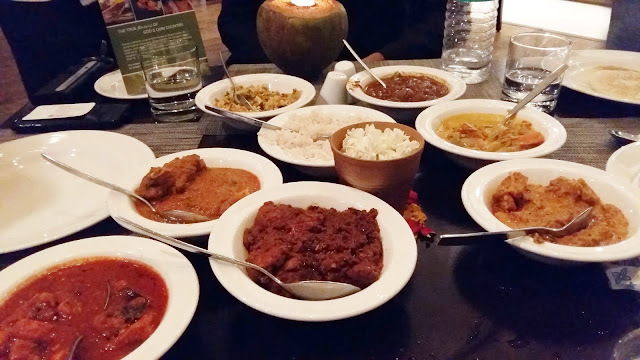 The restaurant is raucous most of the time as it is well patronized anyways but perhaps the word has spread that visiting Chef Ashok Eapen from Trivandrum is cooking authentic culinary delights featuring the very best of authentic Kerala cuisine so the restaurant seemed busier than usual. An absolute stickler for perfection Chef Eapen has brought his spices with him which he sources for his restaurant back in Trivandrum. 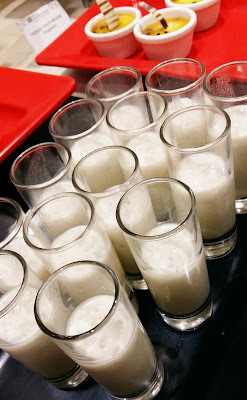 Start with buttermilk, just the right refresher and if you like your drink spicy, rasam and Papad it is. Though the festival is a part of the buffet (read separate section), it’s made fresh batch by batch. The menu changes every day, so the day I went I got to sample ‘Kozhi Kurumelagu’, ‘Kuttanadan Duck Curry’, ‘Pork Varattiyathu’ and a host of other dishes like the ‘Karimeen pollichathu’ (pearl spot marinated in tamarind, onions, chillies and ginger, wrapped in a banana leaf and grilled), are all cooked in a traditional way to enhance flavours. 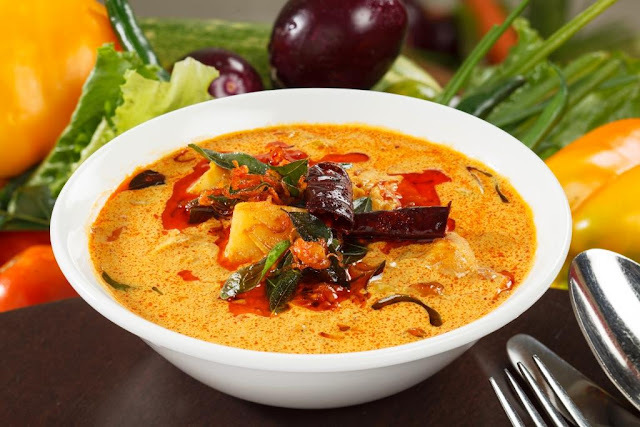 The ‘Kerala home style fish curry’ is exceptional and Excellent for sopping up the delicious gravy is the ‘Kerela Red Rice’ or ‘Kal Dosa’. Desserts like ‘Elneer payasam’ (tender coconut morsels in coconut milk and cardamom) are richly heavenly. I would definitely recommend this festival…worth a try!! The Kerala Food Festival is at Glass House, the world cuisine restaurant, from July 18 to 30, 2015, only for dinner. PRICE? INR 1,495 plus taxes per person.